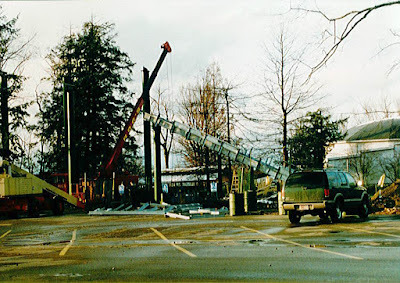 We are on the brink of March, and getting ready to resume construction on our new Kidz Slide and Spray Zone. 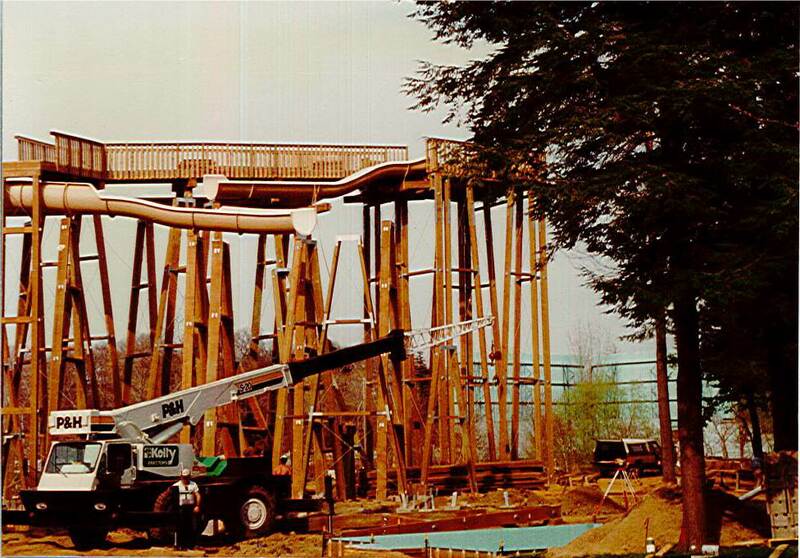 But before our crews arrive to bring this colorful new addition to life, let's take a look back into the construction of two favorite attractions that are celebrating their 30th and 20th Anniversaries in 2016, Water World and Thunder River. 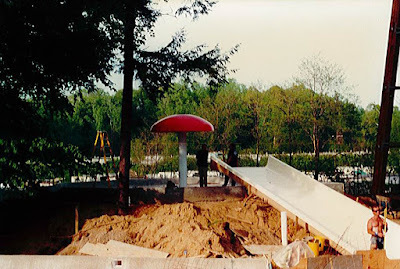 A new trend in the 1980s was water parks. Waldameer's owner, Paul Nelson, saw this trend as the opportunity for Waldameer to re-establish and grow its competitive position in a very crowded amusement park market in the tri-state area. 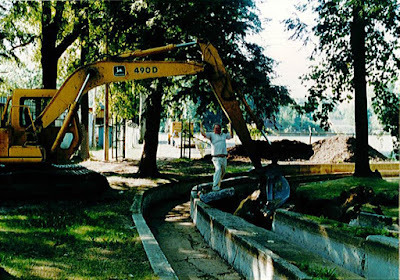 By the mid-1980s, the moment was right for major expansion, and construction of Water World began in the Fall of 1985. The construction of Water World was a very exciting time for Waldameer, and these are only a few of many pictures that document the transformation of a wooded area into Water World. Many of these photos have never been published until now. Water World used to be occupied by a wooded area with houses that many former full-time employees lived in. 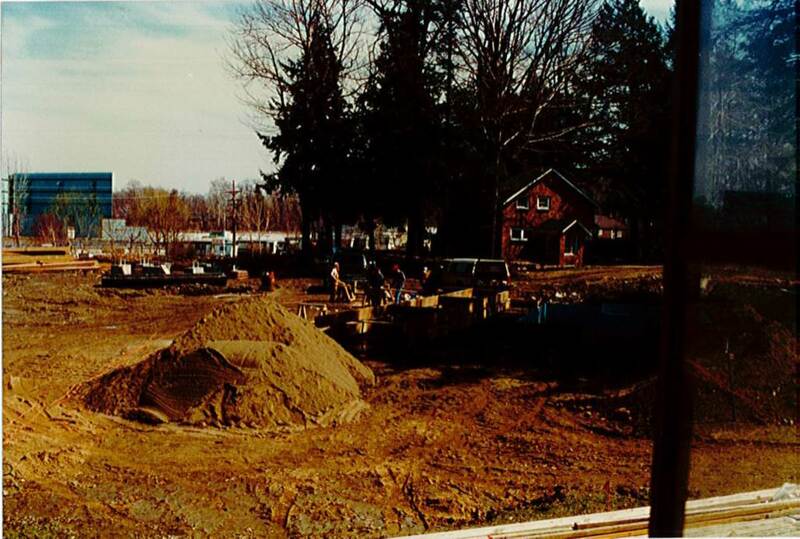 On the left is the former Presque Isle Drive-In which is now the Tom Ridge Environmental Center. 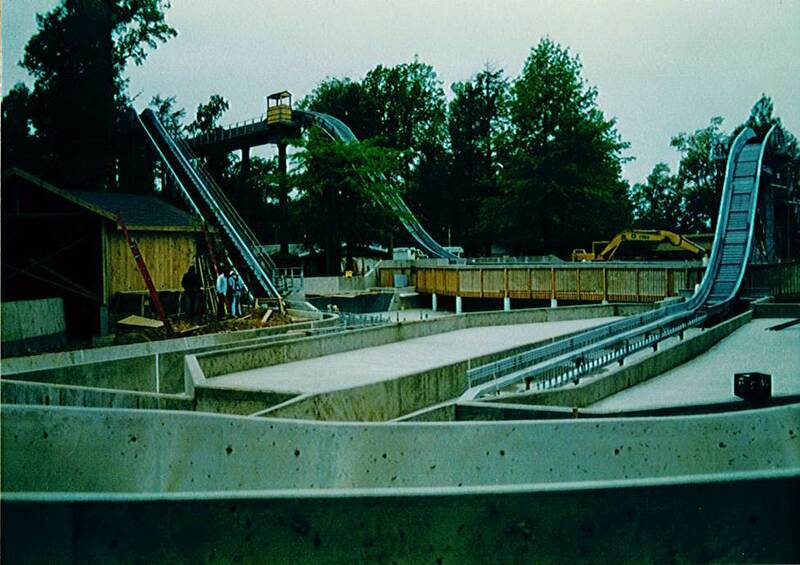 The Giant Slides were constructed in the first phase of Water World. What seems modest by today's standards, was an attraction ahead of its time that many people had never seen before. 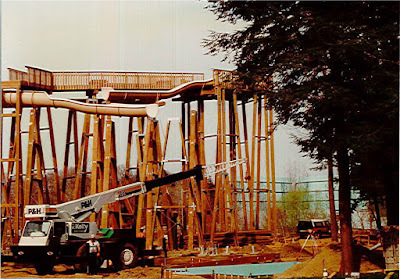 The Tad Pool area and Endless River also were also part of the first phase of Water World. 2015 was the final season for the Tad Pool area due to the much larger Kidz Slide and Spray Zone opening in 2016 near the Giant Wave Pool. What will Tad Pool become? Let's just say that Water World will be turning up the thrill level in the future. The brand new and "state-of-the-art" Giant Slides ready to excite guests. 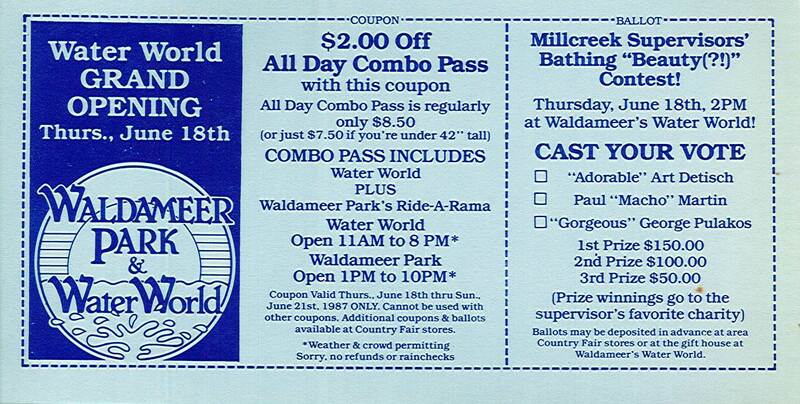 Water World celebrated its Grand Opening on Thursday, June 18th 1986. Complete with a Millcreek Supervisor Bathing "Beauty(?!)" Contest, it seems it was a blast! Does anyone know who won? 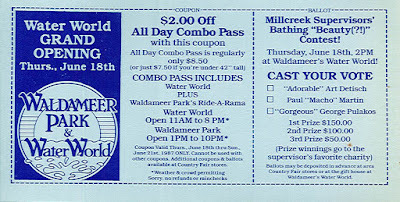 With the addition of Water World, Waldameer became one of the very first amusement parks to offer a full water park on the same property. 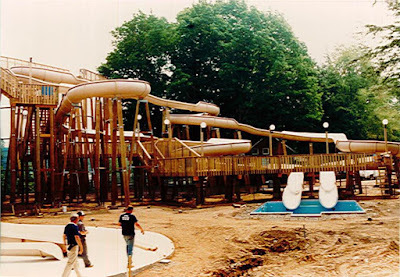 Water World rapidly grew to one of the largest water parks in the region, and continues to offer one of the largest selections of water attractions in the tri-state area. 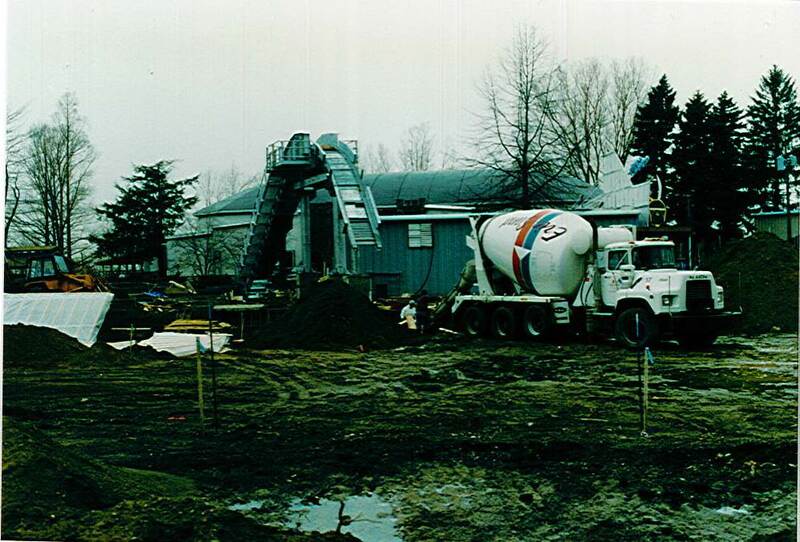 The huge success of Water World fueled the many expansions that soon followed throughout the 1990s to present day. One of those attractions made possible through the success of Water World, Thunder River, helped headline Waldameer's 100th Season Celebration. 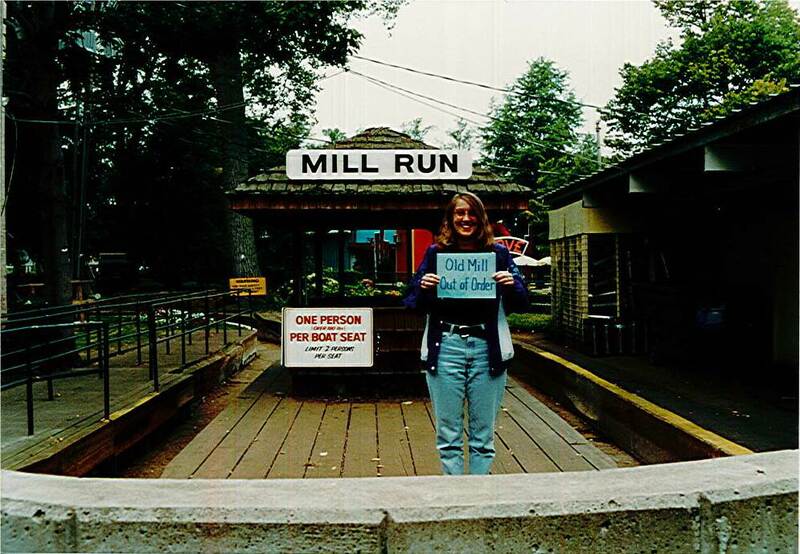 To make way for Thunder River, Waldameer said goodbye to the aging Old Mill Run. With Old Mill Run removed, Thunder River took shape. Construction started with the two large hills. 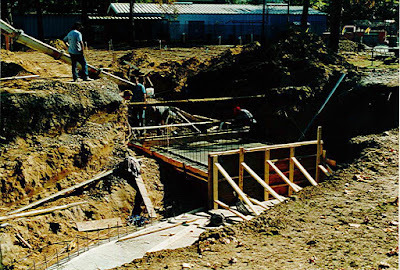 Thunder River is deeply entrenched into the ground to accommodate the water storage reservoir and pump systems. 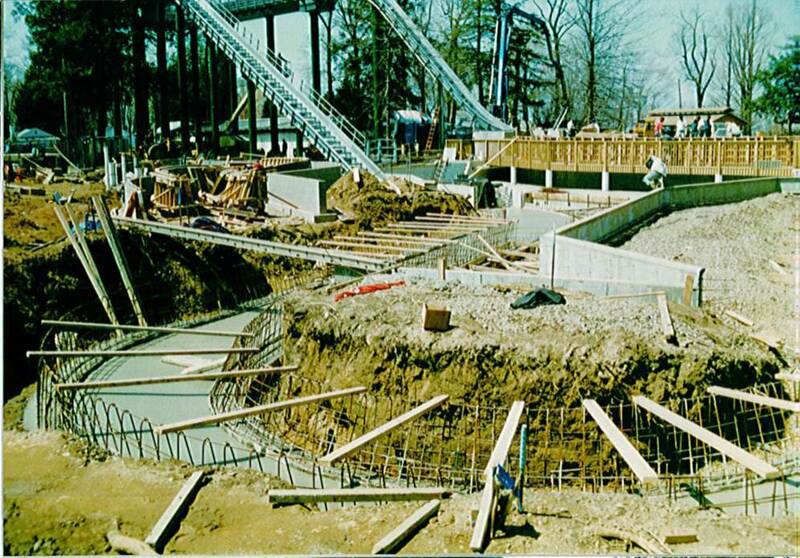 The winding concrete trough soon followed the splashdown hills. 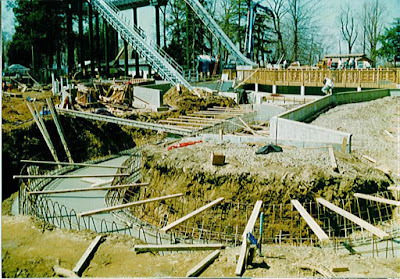 We hope you enjoyed these never-before-seen photos of two of Waldameer's most proud accomplishments, Water World and Thunder River. We look forward to making a huge splash into our 120th Season with our new Kidz Slide and Spray Zone. Be on the lookout for some current construction updates in the weeks to come!